Wondering to which nonprofit you should donate on Colorado Gives Day? BizWest has just the right tool, with the latest edition of the Giving Guide, a directory of nonprofit organizations in the Boulder Valley and Northern Colorado. Published by BizWest Media LLC, the directory includes more than 750 nonprofit organizations and is published in advance of Colorado Gives Day, Tuesday, Dec. 4. Colorado Gives Day is an annual statewide movement to celebrate and increase philanthropy through online giving. Donations are accepted through www.ColoradoGives.org. Nonprofits listed in the Giving Guide are categorized by area of specialty, including contact information, services, etc., as well as “wish lists” for many organizations, featuring their greatest needs. The publication also includes ranked lists of the largest nonprofits in the Boulder Valley and Northern Colorado. 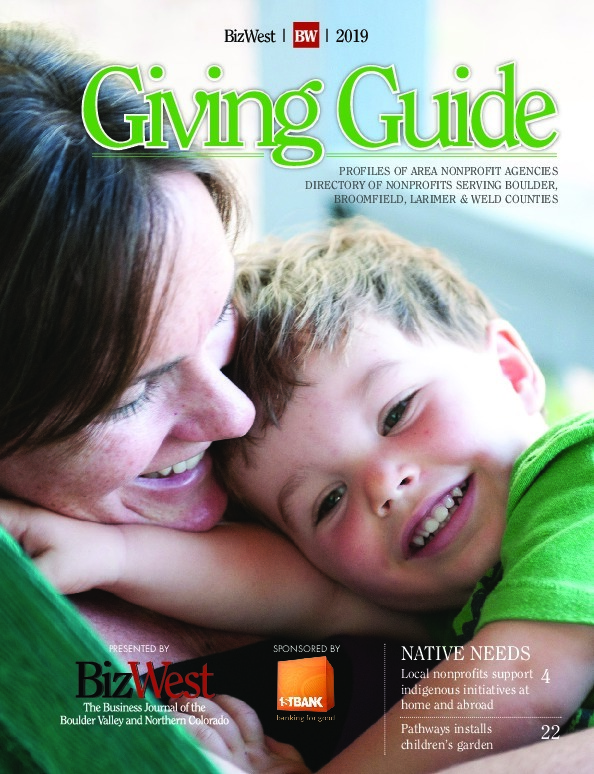 Copies of the Giving Guide will be sent to subscribers of BizWest, as well as to organizations listed in the directory. A digital edition of the Giving Guide is available here. An Excel spreadsheet of the directory is also available for download at www.bizwest.com.